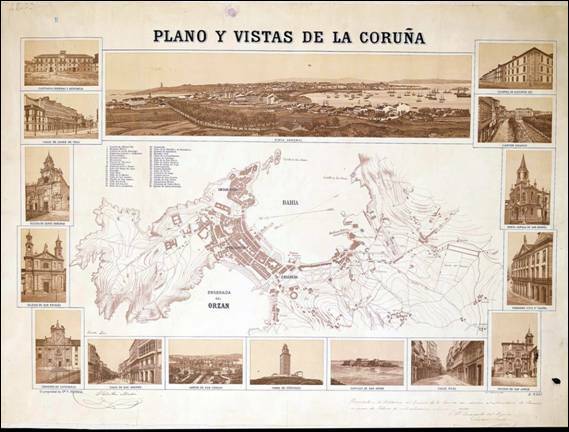 La Coruña port existed in roman times. The Hercules Tower, a roman lighthouse which is thought to have been built during the first century AC, shows the relevance of the area during that time. 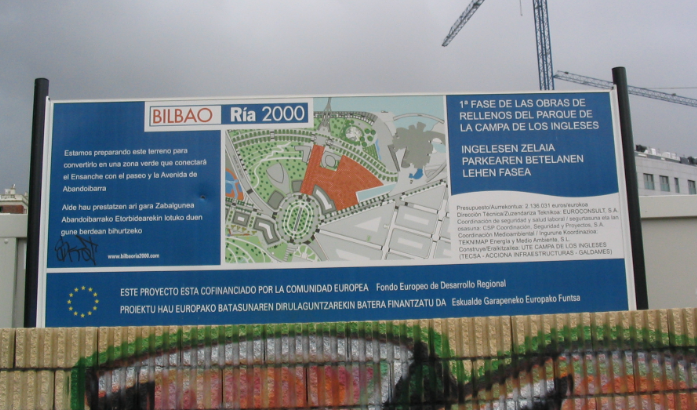 The relevant port of the region was present Betanzos (Brigantium), as its ria was less silted and ships were smaller. During the Middle Ages the city becomes more relevant, and the opening of the American trade after the end of the monopoly of Seville and Cadix helps. Around the mid XXth century the port occupies most of the southern bay, protected by the peninsula; this is the last vision of Spain for thousands of Galicians migrating to America. During the 1960’s a large jetty is built to enlarge he port, and a new oil refining plant gives relevance to liquid bulks. This also leads to several tanker accidents that pollute the air and the ocean. The transition to democracy with the death of Franco brings regional devolution and the loss of the regional capital to Santiago, with the transfer of many public jobs. 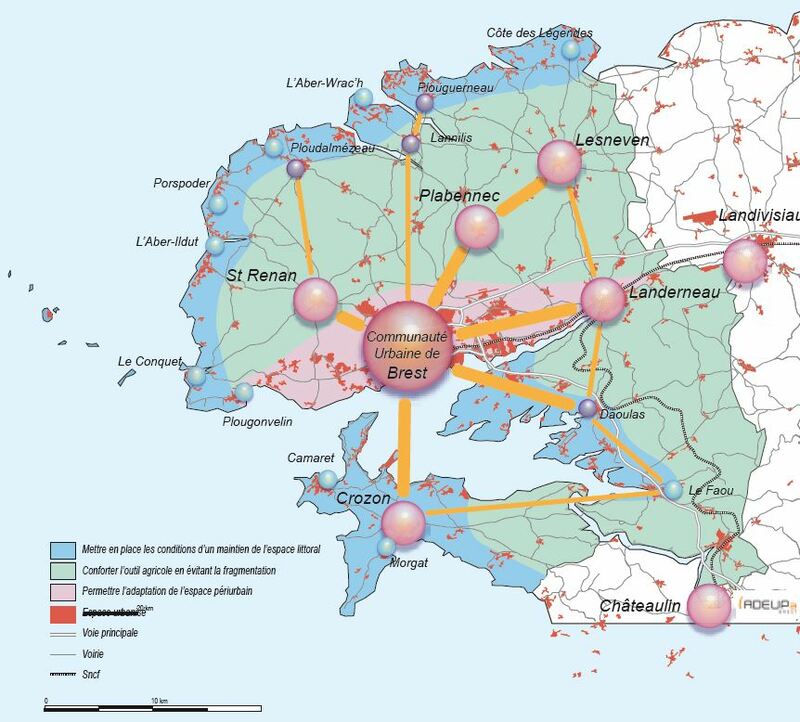 During the last decade a new port has been built, west of the historic bay, in part to reduce risks (oil wharfs are linked to the refining plant by a pipeline near homes), but the location is clearly into the metro area. 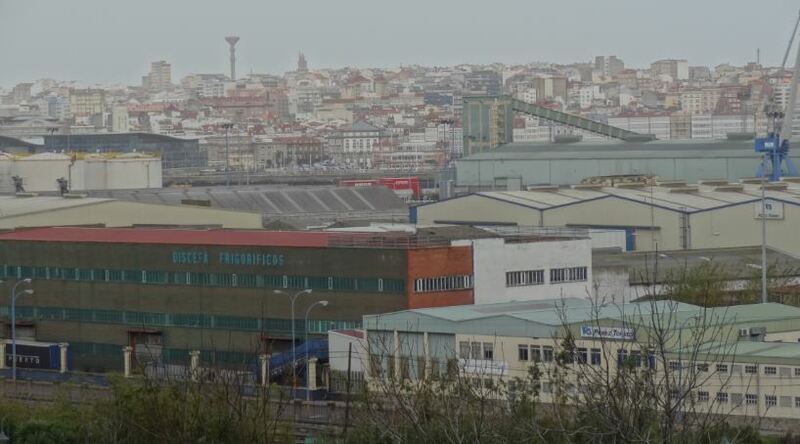 The presence in that metro area of the headquarters of Inditex, the textile group owning Zara, helps to a certain degree to weather the current economic crisis. 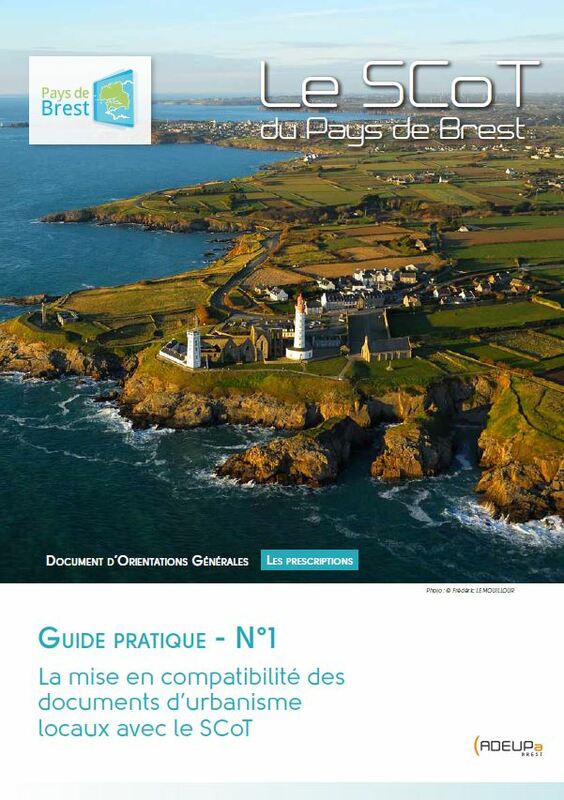 Brest is first mentioned in history as a roman encampment at the end of the IIIrd century AC. The estuary of the river Penfeld made for a good natural harbour for the ships of the age. 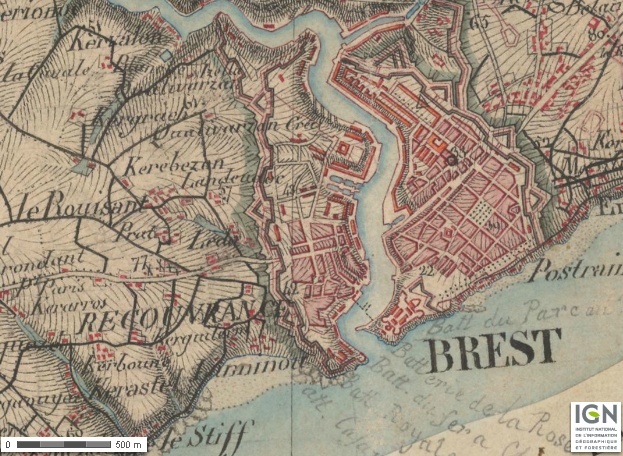 In 1593 Henri IV incorporates Brest as city, and in 1631 Richelieu establishes an arsenal on the Penfeld’s banks. The city plays a relevant role for the fleets helping the United States in their Independence War. The XIXth century starts under the British naval blockade, hurting the port; this changes under the second empire, with a wider sea trade, new rail lines and bridges over the Penfeld. Urban growth goes crosses the historic walls. Bigger ships make the need for a larger port, out of the Penfeld estuary, and new warfes are open on the large bay. During WW2 the port becomes a German Naval base and is bombed by the allies, which destroy a large portion of the city, later rebuilt. 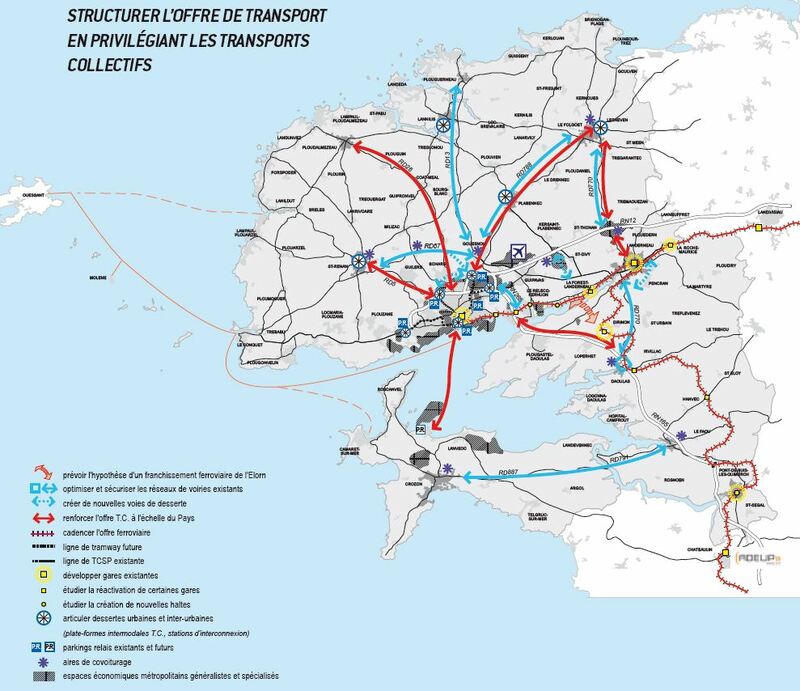 The creation of the Oceanic Strategic Force in 1972 leads to the creation of the new nuclear submarines base on Ile Longue, south of the bay. 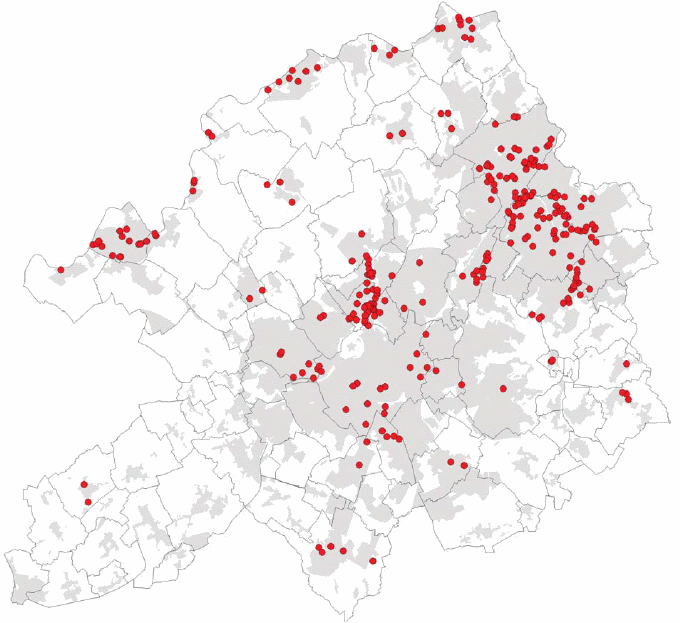 The reduction in military budgets hurts the city. Duluth receives its name from the first European explorer of the area, a XVIIth century French soldier which was called “Sieur du Luth”. The first known residents were the Anishinaabe tribe, which played a mediating role between the French and other Indian nations. Fur trade (especially beaver) was a relevant part of that early trade. 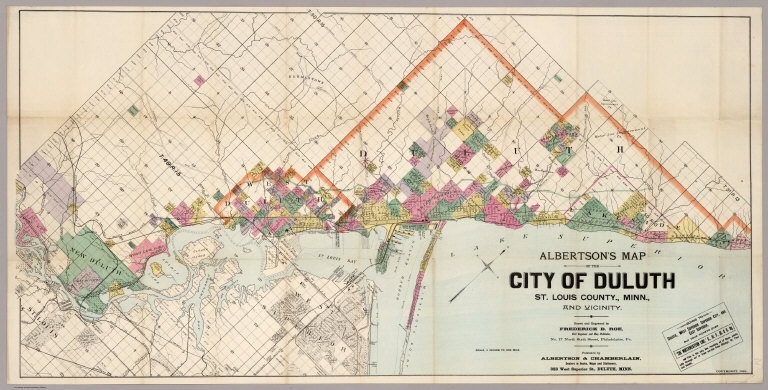 In the mid XIXth century cooper mines, new locks allowing the arrival of large ships to lake Superior and plans for new rail linking the city to the Pacific (creating so a inter-ocean port) helped fuel the inception of the city. The port and the city grew exporting ore (mainly iron) and cereals. 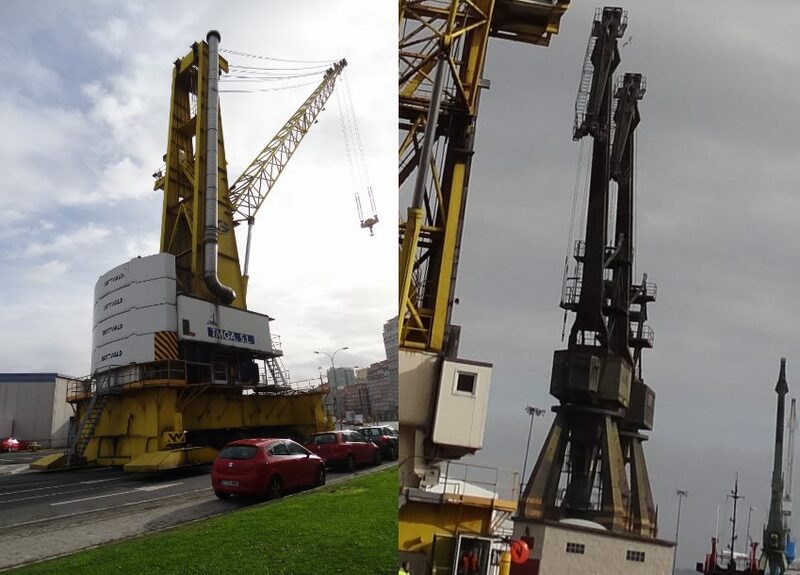 The crisis of the traditional heavy industry at the end of the XXth century has touched the city, but it is to a certain degree compensated by tourism and services to the metro area. Puerto Montt had some population prior to the arrival of the Spanish (southern Chile was never really incorporated to the Empire). Around the mid XIXth century German colonists started arriving to the area, and the city is incorporated in 1853. The rail line to Osorno starts operation in 1912. 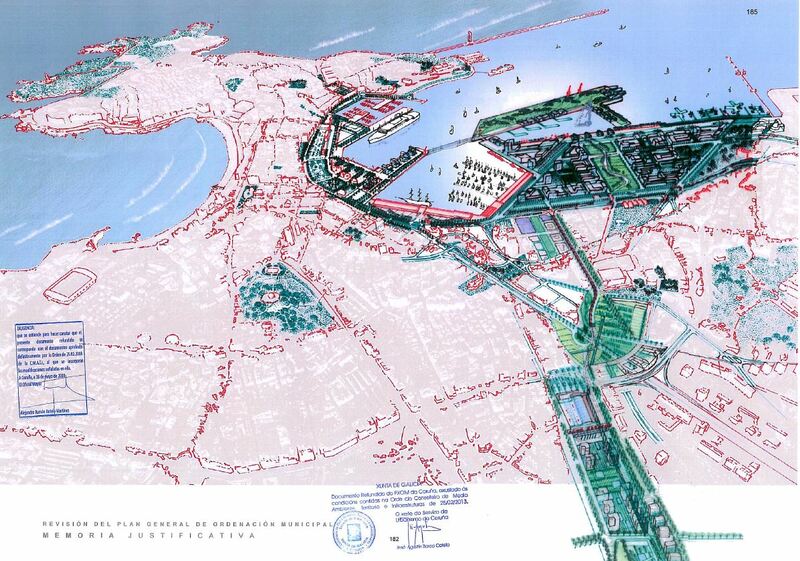 During the 1930 there is a substantial transformation of the waterfront, with new embankments, rail lines, a wharf and the dredging of the Tenglo channel. The city becomes in 1974 the capital of the Xth region (Los Lagos). Since 1985 the salmon production becomes important (and the plague problems for the species test the local economy), with other more traditional activities as agriculture, cattle or wood being also relevant. Tourism has become a relevant asset too. The landscape of these four cities is marked by the irregular coastline, elevation, geology and vegetation. 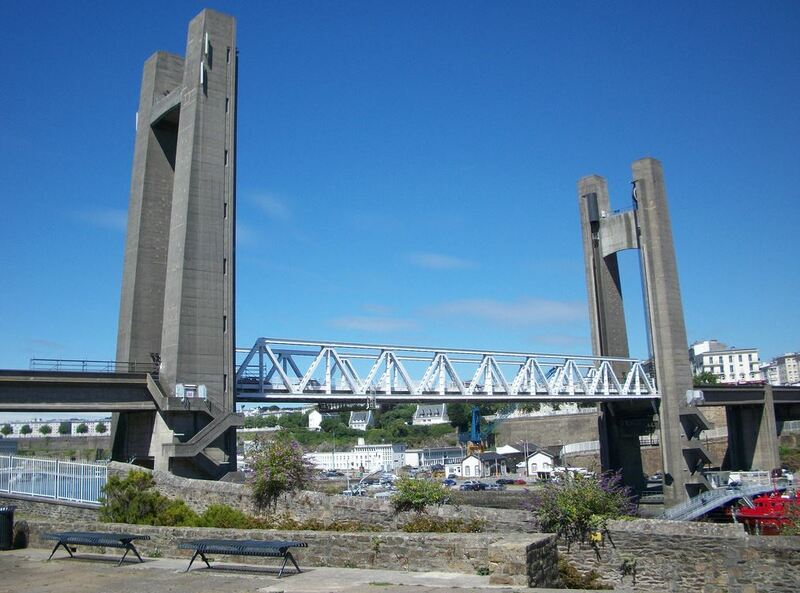 Brest sits on top of a coastal cliff some 40 m high which overlooks the bay, with the Penfeld valley (the initial port) as its western limit. There are just a few zones around with heights over 60 m; the coast is marked by cliffs, but not by mountains or characteristic hill profiles. Ravines create valleys that are significant in this landscape. 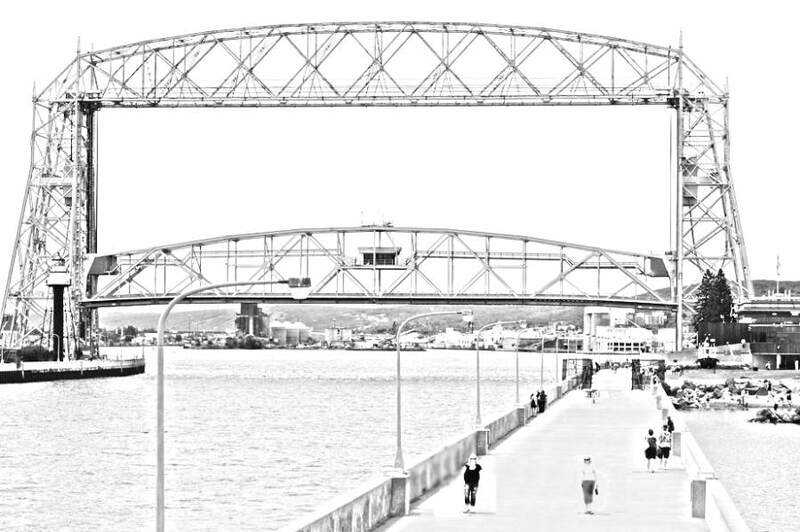 Duluth is the meeting point for the northern Lake Superior hills and the plains to the south, as well along the Saint Louis river estuary. The city site is on a complex land, with steep slopes of volcanic genesis, something that has not helped street and building construction. The elevation difference from lakeshore to the highest points some 2 km inland is close to 200 m, and has contributed to a rich scenic context, attracting tourists since the 1880s. Ravins flowing into the lake have become natural limits between city zones. A sandbar at the mouth of the Saint Louis river estuary protects the harbour. The city has colonized the lakeshores and the estuary, as well as the hinterland. 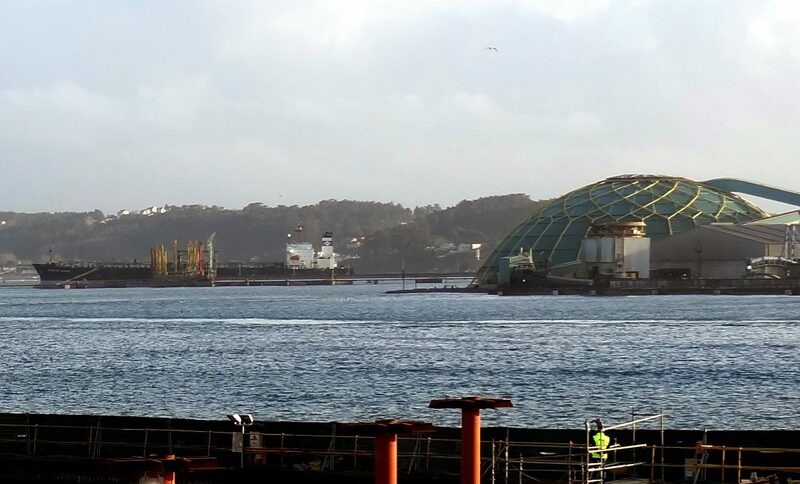 La Coruña is on the western edge of the Artabrian gulf, a set of bights that reaches Ferrol to the North. It is a series of limited height hills, but on the areas neighboring the open seas, as on Monte de San Pedro. The city appeared on the eastern point of a peninsula united to the mainland by a narrow sandbar; during the XXth century the city has overflowed the plain areas to go uphill to the south and on the northern parts of the original peninsula. 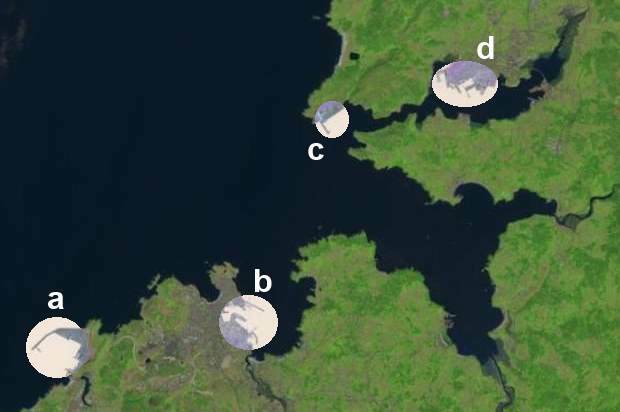 There is an inlet on each side of the peninsula, and the harbour is on the eastern one. 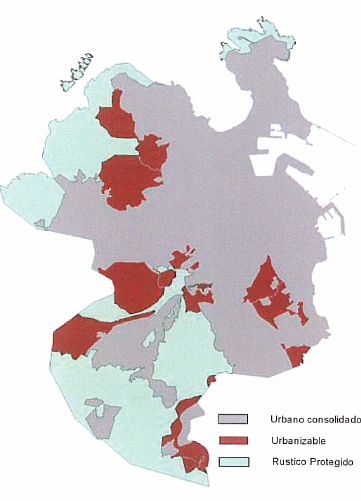 Puerto Montt municipality has some areas to the east with elevations well over 1.000 m, but the city itself is on much lower ground. The port sits on a rather benign slope, that is interrupted by a relevant cliff that gets up to the 100 m contour line. This allows for scenic vistas over the Seno de Roncagua, the large bay which extends to the south the Chilean central valley and separates the shores of the Andes from Chiloé Island. The harbour is on the channel between the mainland and Tenglo island. The climate of these four cities is quite similar during their summers (Puerto Montt is on the southern hemisphere) ; you hardly get beyond 25 ºC, and rain is rather high. Only Duluth sees snow and freezing cold for several weeks on a row, so it has created a Skyways network.